Formula 41' 41 PC w/ Tender 1998 Yacht For Sale | "Last Dance"
41' Formula 1998 "Last Dance"
NEW LISTING - MORE DETAILS/PHOTOS COMING SOON! This boat's second owners bought her practically new over seventeen years ago and have enjoyed her and kept her up impeccably ever since! The Formula 41PC was the flagship of the Formula fleet for several years as they are a well-engineered express cruiser with precise handling and the quality construction typical of Formula products. This is a big boat, inside and out, and a long foredeck and shapely profile make her a standout in any marina. The mid-cabin accommodations are impressive with staterooms fore and aft and a long salon with room for a crowd. There's a separate stall shower in the double-entry head, a big galley with plenty of counter space, excellent storage, and a walk around island berth in the forward stateroom. This boat has so much to offer and must be seen! 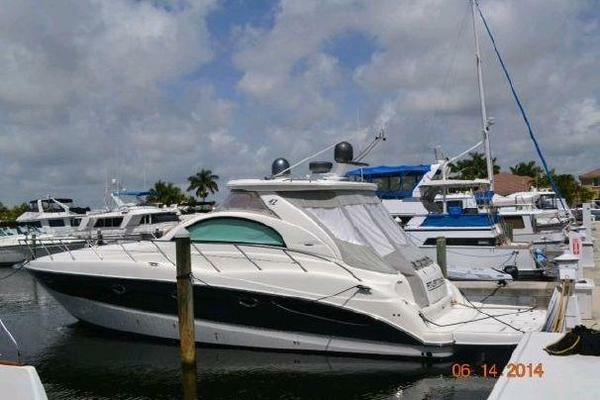 From the photos, you'll note the owner's have upgraded the galley appliances, every cabin's TV's, and the stereo system. They are including their top-tier 2004 Nouvurania center-console RIB tender with Honda 25 hp outboard (just serviced) that is secured to the added hydraulic swim platform (with two NEW rams!). She's also moored in good standing at the premier Kona Kai Marina. If you're doing the research and comparison's, factor in a very experienced boat owner who's knowingly kept ahead of all maintenance and upgraded regularly, and you'll find this boat stands alone and you'll be sorry if you let her get away! !